Through the use of Web 2.0 technologies the production and distribution of professional digital video content for use in teacher education has become more prevalent. As teachers look to learn from and interact with this video content, they need explicit support to help draw their attention to specific pedagogical strategies and reduce cognitive load. This support can be provided through the use of different design strategies that include providing access to prompts, teacher commentary, reflective tools, and multiple representations of a particular observation. This article provides a review of these design strategies and discusses the ways in which they can be used to produce effective video for teacher education. Brunvand, S. (2010). Best Practices for Producing Video Content for Teacher Education. 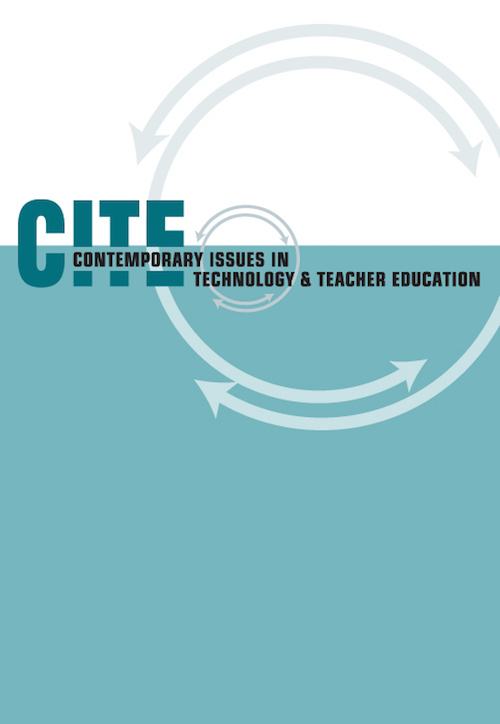 Contemporary Issues in Technology and Teacher Education, 10 (2), 247-256. Waynesville, NC USA: Society for Information Technology & Teacher Education. Retrieved April 20, 2019 from https://www.learntechlib.org/primary/p/31446/. Abell, S.K., & Cennamo, K.S. (2004). Videocases in elementary science teacher preparation. In J. Brophy (Ed. ), Using video in teacher education: Advances in research on teaching (Vol. 10; pp. 103-130). Oxford, England: Elsevier Ltd.
Barab, S.A., Hay, K.E., & Duffy, T. (1999). Grounded constructions and how technology can help. TechTrends, 43(2), 15-23. Barab, S.A., MaKinster, J., Moore, J., & Cunningham, D.J. (2001). Designing and building an on-line community: The struggle to support sociability in the Inquiry Learning Forum. Educational Technology Research& Development, 49(4), 71-96. Beck, R.J., King, A., & Marshall, S.K. (2002). Effects of videocase construction on preservice teachers' observations of teaching. The Journal of Experimental Education, 70(4), 345-361. Bransford, J., Kinzer, C.K., Risko, V.J., Rowe, D., & Vye, N. (1989). Designing invitations to thinking: Some initial thoughts. In S. McCormick, J. Zutell, P.L. Scharer, & P.R.O'Keefe (Eds. ), Cognitive and social perspectives for literacy research and instruction: Thirty-eighth yearbook of The National Reading Conference (Vol. 38, pp. 35-54). Brunvand, S., & Fishman, B. (2006). Investigating the impact of the availability of scaffolds on preservice teacher noticing and learning from video. Journal of Educational Technology Systems, 35(3), 151-174. Chaney-Cullen, T., & Duffy, T. (1998). Strategic teaching framework: Multimedia to support teacher change (No. 4-98). Bloomingtion, IN: Center for Research on Learning and Technology, Indiana University. Chi, M.T.H., Glaser, R., & Farr, M.J. (1988). The nature of expertise. Hillsdale, NJ: Lawrence Erlbaum Associates. Chun, M.M., & Jiang, Y. (1998). Contextual cueing: Implicit learning and memory of visual context guides sparial attention. Cognitive Psychology, 36, 28-71. Lampert, M., & Ball, D.L. (1998). Teaching multimedia, and mathematics. New York, NY: Teachers College Press. Loucks-Horsley, S., & Matsumoto, C. (1999). Research on professional development for teachers of mathematics and science: The state of the scene. School Science and Mathematics, 99(5), 258-271. Lunderberg, M.A., & Scheurman, G. (1997). Looking twice means seeing more: Developing pedagogical knowledge through case analysis. Teaching and Teacher Education, 13(8), 783-797. Mayer, R., Moreno, R., Boire, M., & Vagge, S. (1999). Maximizing constructivist learning from multimedia communications by minimizing cognitive load. Journal of Educational Psychology, 91(4), 638-643. Miller, K. (2006). Learning from video: What makes it compelling and what makes it hard. In R. Goldman, R.D. Pea, B. Barron, & S. Derry (Eds. ), Video reseach in the learning sciences. Mahway, NJ: Erlbaum. Paivio, A. (1971). Imagery and verbal processes. New York, NY: Holt, Rinehart and Winston. Salomon, G. (1994). Interaction of media, cognition, and learning. Hillsdale, NJ: Lawrence Erlbaum Associates. Schön, D. (1987). Educating the reflective practitioner. San Francisco, CA: Jossey-Bass Inc., Publishers. Sherin, M.G. (2004). New perspectives on the role of video in teacher education. In J. Brophy (Ed. ), Using Video in teacher education: Advances in research on teaching (Vol. 10; pp. 1-27). New York, NY: Elsevier Science. Sherin, M.G., & Van Es, E.A. (2005). Using video to support teachers' ability to notice classroom interactions. Journal of Technology and Teacher Education, 13(3), 475-491. Shulman, L. (1992). Toward a pedagogy of cases. In J. Shulman (Ed. ), Case methods in teacher education (pp. 1-32). New York, NY: Teachers College Press. Smith, J.P. (1996). Efficacy and teaching mathematics by telling: A challenge for reform. Journal for Research in Mathematics Education, 27(4), 458-477.